Microsoft has finally put a firm deadline on the time which OEMs can sell PCs with Windows 7 preinstalled, and that deadline is October 31, 2016. In other words, as of next November, PCs with Windows 7 Professional on board will no longer be on sale. ZDNet spotted the fact that Microsoft had updated its Windows Lifecycle Fact Sheet page with this new information. 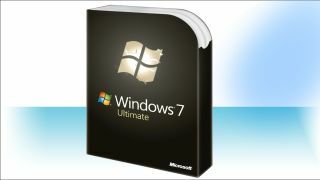 While Microsoft ended OEM sales of PCs with Windows 7 Home and Ultimate back in October 2014, the company continued to let PC vendors preinstall Windows 7 Professional due to the poor reception Windows 8 received. Redmond felt it couldn't force users into Windows 8, but now Windows 10 is out and the feeling towards that OS is much more positive across the board, the time has obviously come to wave goodbye to preinstalled Windows 7 for good. Windows 8.1 will also be banned from OEM machines as of October 31 next year, so from that point, all PCs will come with Windows 10 pre-installed (and probably for quite some time into the future, if Microsoft's promises about Windows as a Service are true going forward). So if you don't want any part of Microsoft's new desktop operating systems and would rather stick with good old Windows 7 Professional, best make sure you order your new PC within the next year. Many folks, however, are happily making the shift to Windows 10 – according to the most recent figures from StatCounter, Microsoft's new OS now holds a 9% share of the desktop operating system market. It's catching up with Windows 8/8.1 which is on 13%, although Windows 10's growth rate did slow down somewhat in October according to the bean counting firm.